The SROs are valuable resources for their schools. They are trained to fulfill three roles. First and foremost are law enforcement officers whose primary purpose is to "keep the peace" in their schools so that students can learn and teachers can teach. Secondly they are law-related counselors who provide guidance on law-related issues to students and act as a link to support services both inside and outside the school environment; and thirdly they are law-related education teachers who provide schools with an additional educational resource by sharing their expertise in the classroom. Third, beyond these identified roles and, perhaps most importantly, SROs are positive role models for many students who are not exposed to such role models in today's society. Their presence in the schools sends a strong message that violence is not acceptable. From the Ohio School Resource Officer Association web site. 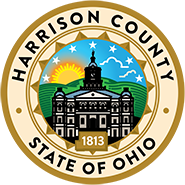 In 2000 the Harrison County Sheriff’s Office obtained a grant from the US Department of Justice COPS program, to place two Resource Officers in the Harrison Hills City School District. Deputy R.A. Brooks and Deputy R.O. Brooks were the first deputies to serve at the Junior High School and High School respectively. While stationed at these two schools, the deputies also serve the elementray buildings in the HHSCD. In todays society it is not uncommon for children 10 years of age and up to have their own cell phone, laptop or desktop computer with internet service. It is tough for parents understand the lingo that their children use while texting or instant messaging there friends. The following link is a guide to internet and texting lingo produced by SpectorSoft to help parents keep track of their child's activity while chatting with friends. The guide is free and often utilized by the Harrison County Sheriff's Office. This document is a 53 page pdf file that may take a few minutes to open and load depending on the connection and speed of your computer. It is recommended that you save the file once it opens for easier use the next time you use this reference.